Painter, printmaker and teacher, Derek Boshier was one of a group of young artists linked with the emergence of Pop Art in Britain in the early 1960s. Born in Portsmouth, he was a student at the Royal College of Art (1959-62) and, with contemporaries that include David Hockney, Allen Jones, R. B. Kitaj, Patrick Caulfield and Peter Philips, he developed a new figurative style that took its influence from the imagery of mainstream culture in Britain and America. 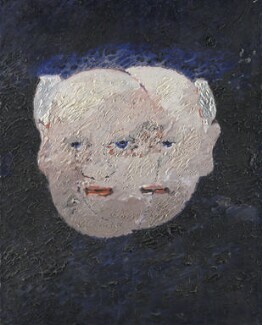 Subsequently Boshier rejected painting altogether for thirteen years to focus on film, photography and mixed media. The display at the National Portrait Gallery begins with Boshier’s return to painting, roughly coinciding with a postmodern revival of painterly, figurative practice by artists more generally in the 1980s. Early works from this period, made whilst Boshier kept a studio in New York, are combined with drawings produced during the artist’s tenure as a professor at the University of Houston in Texas and a recent large-scale painting from 2009.